Here’s some serious inspiration – a taste of heli skiing in Iceland. The crew from Warren Miller Entertainment visited Arctic Heli Skiing in Iceland in May 2018 to film a segment for the 2018 film “Face of Winter”. 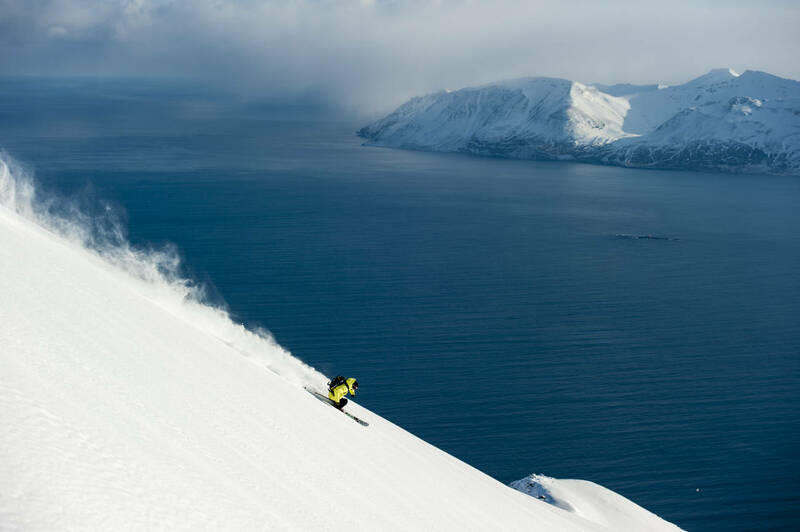 Skiers Anna Segal, Amie Engerbretson and Jonny Moseley enjoyed skiing the endless runs on the Troll Peninsula as well as getting a little taste of the Icelandic culture. STRAIGHT FROM THE VIKINGS – Klængshóll Lodge (our base of operations) in the mountains of the Troll Peninsula is an ancient sheep farm that has been inhabited continually from the time of the settlement of the Vikings in Iceland in circa 850AD. UNIQUE ARCTIC SKIING EXPERIENCE – Located on the Troll Peninsula in northern Iceland. The fact that the Troll Peninsula is surrounded by the Arctic Ocean makes for incredible opportunities for skiing right down to the ocean. Throw in a mix of Northern lights, midnight sun, volcanic activity, hot springs, lava fields and a unique Viking culture and you will find that Iceland is a true adventure skiing destination.